This week, ACCT is waiving all fees for dog and cat adoption. 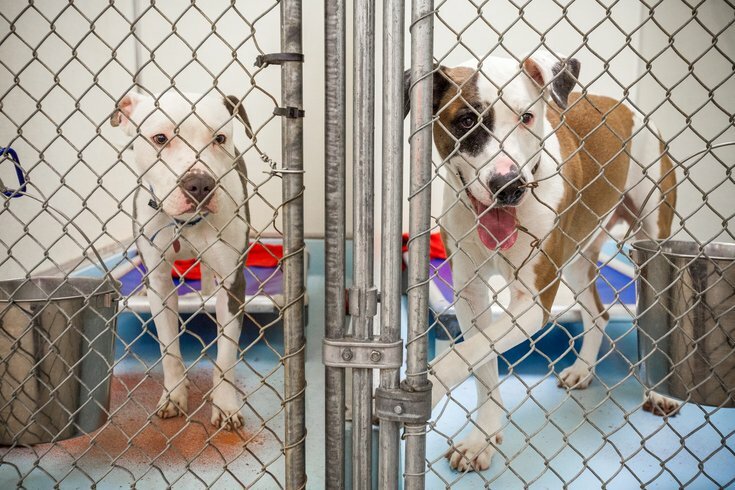 Philly's Animal Care and Control Team shelter is full, so now might be the right time for you to adopt that cat or dog you've always been wanting. All fees have been waived to adopt a dog or cat this week because ACCT's facility at 111. W. Hunting Park Ave. is at full capacity. There is a possibility for a heatwave at the end of this week, which could spark a citywide Code Red. For pets, this means shelters and individual pet owners have to provide one or more separate areas of shade large enough to accommodate the entire body of a dog at one time and protect it from the direct rays of the sun. Violators face a $500 fine. Dogs left outdoors can be reported here. "Beat the Heat this week and help ACCT Philly find some much needed homes by coming in to adopt one of our amazing pups," ACCT posted on its Facebook on Monday. "Shelter space is very tight right now, and there are tons of very happy, loving, and playful pups just waiting for you to take them home!" Normal adoption fees at the ACCT vary on the size and age of the animal. Here are the normal adoption fees for dogs and for cats. Here's where you can learn more about adopting a pet or to browse animals waiting for adoption. The main facility is open for adoption hours Monday through Friday 1 to 8 p.m. and Saturday and Sunday 10 a.m. to 5 p.m. The promotion ends Sunday, July 15.